Making our customers more successful. Doing what is right for our customers. Building long-term relationships with our customers. Being responsible members of our communities. 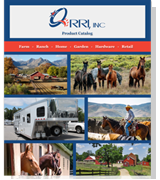 QRRI manufactures, imports, and distributes rubber products for the equine, ag-retail, and fitness flooring industries. Founded in 1987, the company is a female and minority owned small U.S business enterprise. Our corporate offices are located in Sandy Springs, GA, and products are inventoried in warehouses across the country. QRRI specializes in using recycled rubber. Our unique compounding and manufacturing processes have been designed to meet virtually any customer need. QRRI delivers a niche service experience by providing customers with a complete solution for developing, manufacturing, and marketing rubber products. Matting and Rolls for High Schools, Universities, Fitness Centers, Cross Fit Gyms, and Home Gyms. Our philosophy is to build partnerships with our customers while providing top quality products at very competitive prices. QRRI supports that philosophy by maintaining overhead at the lowest possible level. By combining marketing and manufacturing, we aim to create a high level of trust and confidence for our customers. The desire to exceed our customers' expectations at all levels makes our marketing approach extremely successful. This approach includes excellent quality control, full testing and research capabilities, and on-time delivery performance. We promote the utmost clarity in each transaction with regard to intention, mission and desired outcomes. We respect our deep accountability to our customers and employees, to each other, and to our communities.